My English Tongue, My Irish Heart, Act One. Photographed by Ruth Gonsalves Moore. 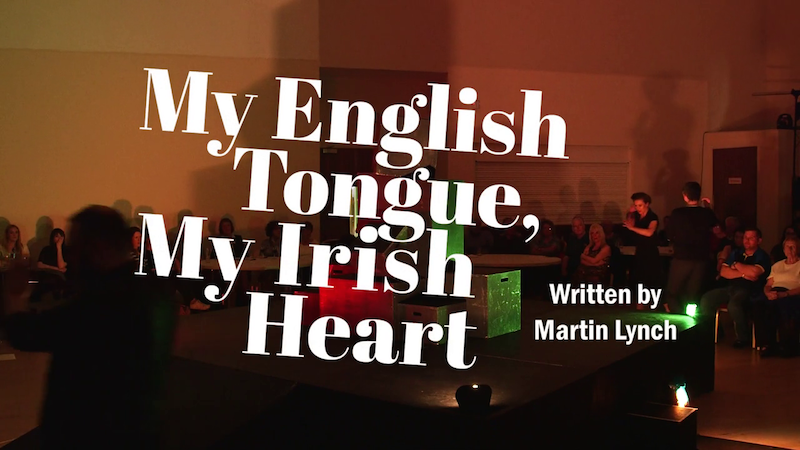 My English Tongue, My Irish Heart is a research-based play that tells the story of Irish emigration to Britain through the generations. Funded by a Follow-on Funding Award from the AHRC, the play was written by the highly respected Irish playwright Martin Lynch, who drew on the first-person testimonies in my book, The Literature of Irish in Britain: Autobiography and Memoir, 1725-2001 (Palgrave Macmillan, 2009), to create a drama that explores the challenges and perplexities of living with, and between, two worlds. 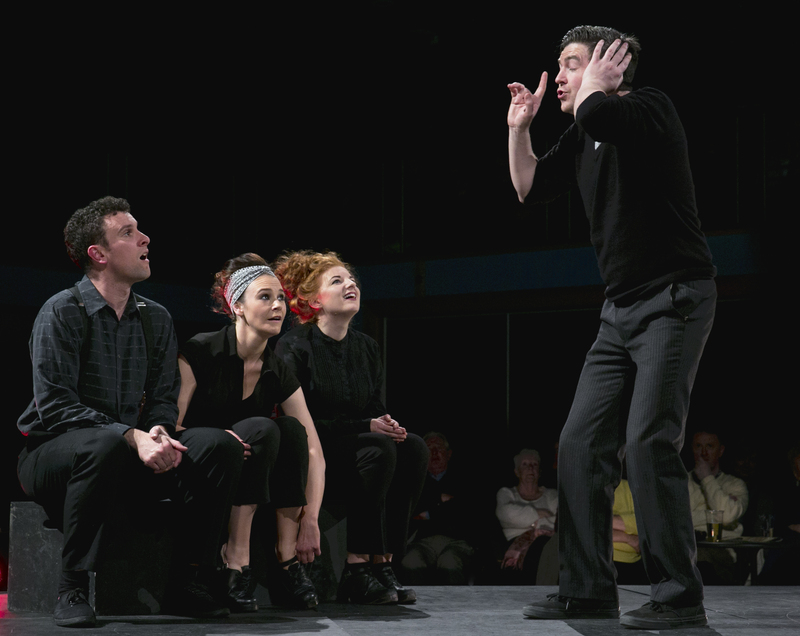 The play toured arts venues and community centres in Ireland and the UK in May 2015 to popular and critical acclaim. The tour opened in Roddy McCorley’s Social Club in Belfast on 1 May and ended with three sold-out performances at the London Irish Centre in Camden Town, London on 29, 30 and 31 May. 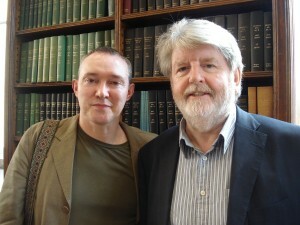 Author Dr Liam Harte (left) and playwright Martin Lynch (right). This collaborative project with Martin was driven by my desire to connect my research with audiences beyond academia, including those people and communities my work is about, so as to prompt them to reflect more deeply on the nature, meaning and effects of migration. My English Tongue, My Irish Heart, Act Two. Photographed by Ruth Gonsalves Moore. 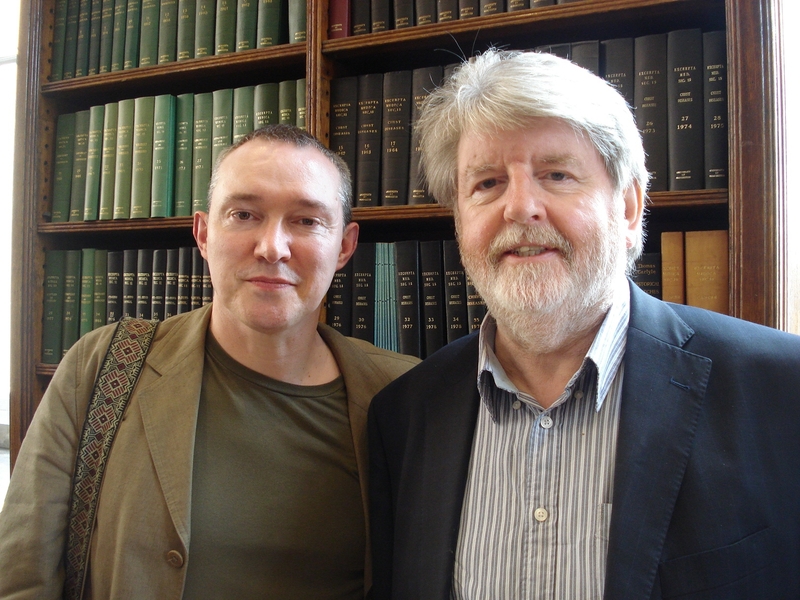 I also wanted to explore with Martin the capacity of research-based drama to deepen understandings of the lived experience of Irish migrants in Britain at different times and places, while at the same time allowing him the artistic freedom to respond creatively to the testimonies in my book. Research-based theatre is usually associated with research in the social and medical sciences, where it is often credited with engendering a new layer of audience engagement and participation on an embodied level. Working on this project with Martin proved that recasting the outcomes of humanities research in dramatic form can offer an alternative and more vivid way of presenting non-academic audiences with socially relevant knowledge. Participants in the Manchester creative writing workshops read from their work at a screening of My English Tongue, My Irish Heart in Z-Arts, Manchester in July 2015. 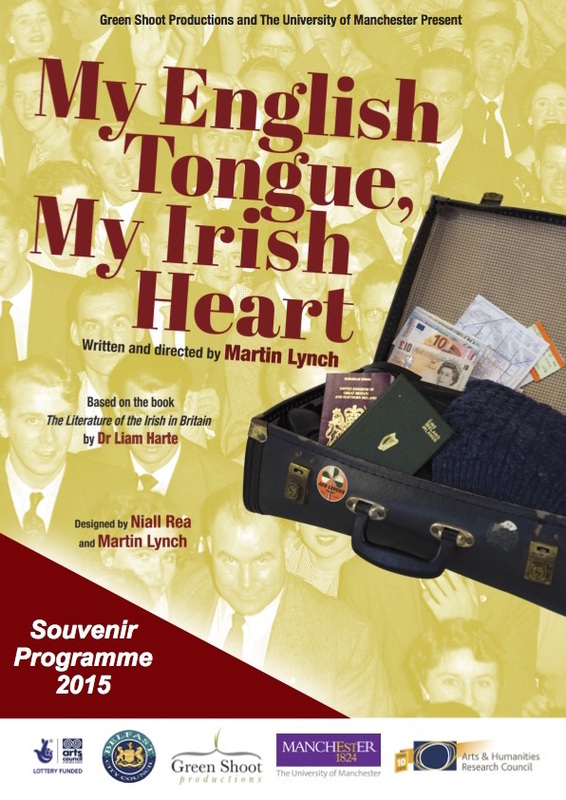 The touring production of My English Tongue, My Irish Heart was accompanied by a community engagement programme in Belfast, Manchester and Castlebar, County Mayo. This programme consisted of creative writing workshops held over a six-week period in each of these venues. 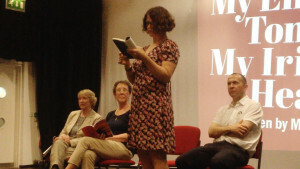 The workshops were facilitated by three accomplished writers – novelist Mike McCormack (Castlebar) and poets Moyra Donaldson (Belfast) and John McAuliffe (Manchester) – each of whom enabled the participants to put narrative form on their perceptions, memories and experiences of emigration. A selection of the workshops outputs will be published by the Liberties Press in 2017. As part of my project’s commitment to social responsibility and community outreach, a substantial portion of the tour proceeds was donated to two emigrant welfare charities, the London-based Aisling Return to Ireland Project and the Safe Home Programme in Mayo. Read Liam Harte’s Irish Times article about the play.